It's been awhile since I've updated, but I'm slowly accumulating a lot of neat stuff to put up here so don't worry, I haven't been slacking. 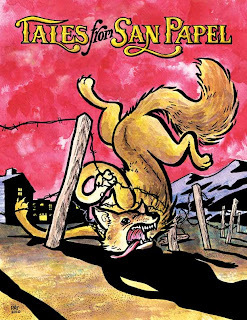 First off I wanted to start spreading the word about Tales from San Papel, an anthology put together by some of my amazing colleagues at the Center for Cartoon Studies. 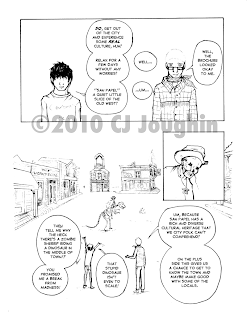 I myself contributed a four page piece but every story in the book is fantastic. For those familiar with my storyline, yes that is Ace and Plato from City of Cards and you can expect to see a lot more of those guys in the upcoming months as I work on my mini-thesis project. Coming soon I'll catch people up on the Golden Age assignment we had here at school. It was two weeks I don't know if I'll ever fully recover from but in a very good way.